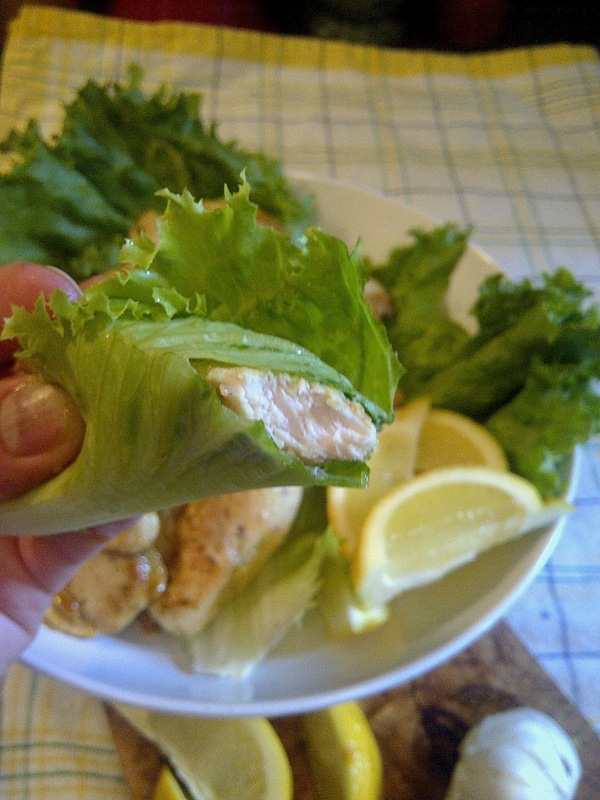 I have been on a quest to re-create my favorite take-out chicken souvlaki pita wrap from OPA! Although it's considered fast food, OPA! is one of my favorites. My mission, that I choose to accept, is THE ULTIMATE CHICKEN PITA WRAP - Phase One: The Chicken....stay tuned for Phase Two - Tzatziki, and Phase Three -The Pita (click to view). 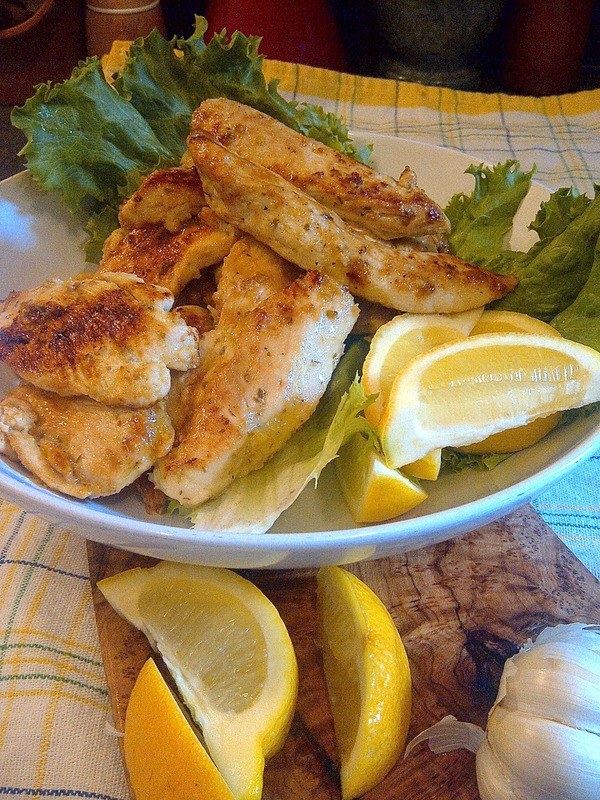 Their chicken is full of flavours - lemon, garlic, and oregano - skewered, grilled and charred to perfection. So ~let's do this~ minus the grill and the skewers...my metal skewers are M.I.A. ; my grill still has snow on it...so I guess that makes this souvlaki-less chicken? Anywho, a quick soak in the marinade, then onto a red hot pan was all it took. Had the chicken been skewered, would it have been more visually appealing? Yes. If the chicken been grilled, would it have been smokey and charred better (with perfect grill marks ~ you know my OCD~)? Yes. A quick taste test reveals successfully flavourful chicken....mmmmmhhhhhuuuuuhhaaaaa! Phase One, complete! This is traditionally served with tzatziki, pitas & all the fixings (and we will get into that), but also great with a salad, or just in a simple lettuce wrap. Add all of the ingredients into a large Ziploc bag, or a large non-metal bowl. Toss to evenly coat the chicken in the marinade. Seal and refrigerate for 30 minutes. Heat a large nonstick skillet over high heat. Arrange chicken pieces in a single layer without crowding the pan - you may have to do 2 or 3 batches, depending on the size of your skillet. Cook 3-4 minutes on each side, or until both sides are well browned and chicken is no longer pink in the middle. I am a big fan of chicken. This looks delicious! Thanks for sharing on Creative Monday. Thanks for hosting, and stopping by! Oh yummm! Pinned this to try and thank you for sharing it! Looks yummy and simple! Good luck with the pita, it took me several tries before I finally could get them to puff in the oven. The trick is to not roll the dough too thin. Oh I love this type of chicken! I always get chicken gyros when we go to our local Greek restaurant and the chicken is seasoned similar. Pinned to my Marvelous Mondays board. Thanks for sharing this week! oh yum! i love that you wrapped it in lettuce! love it! I'm pinning this I love chicken cooked this way ans with tons of tzarziki. Thanks for sharing this on foodie friday. I love souvlaki and your sounds perfect. It is amazing what a few good ingredients can do. Thanks for sharing on Thursdays Treasures.